Can Contemplative Prayer Help Address Racism, White Supremacy, and Hate? What good is sitting in silence for 30 minutes of contemplative prayer every day going to do when there are racist groups in our communities? Contemplation changes us into compassionate people. Contemplation can help those in the grip of hate face their false selves—the false selves that drive so much of their hatred. Contemplation re-centers us in God’s generative love for us and for other people. Mind you, I’m saying that contemplation can “help” as one part of a larger action plan. I don’t want to oversell this here. Meditation and prayer have long been viewed as integral parts of Christian social justice work. Some groups make them essential aspects that members agree to incorporate into their daily lives. When I have encountered hate speech or hateful events in the news, they can fuel a rage that goes beyond a productive righteous anger. As this burning rage takes hold, contemplative prayer provides a place to release my thoughts to God. Action is needed, but I won’t act from a productive perspective without a chance to disconnect from my anger and rage. Speaking in terms of what we hope for in the longer term, my pastor challenged us to think about conversion—we need members of these racist groups to be freed from their hateful ideology. It’s often true that the leaders of these hate groups are too far gone in many cases. However, a former hate group member turned advocate believes those who join these hate groups as the rank and file “foot soldiers” are often joining for reasons that are more complex than adopting a hateful ideology. Contemplation can’t answer all of that, but it can become a tool to escape the endless loop of anger and resentment that helps fuel the hatred of others. Contemplation can provide a new identity as God’s beloved child. Contemplation can provide a new mission to tell others about the love of God. Keep in mind that Paul was a violent extremist who was killing and imprisoning Christians. After his conversion, he penned letters where he wished that his readers could experience the height, depth, and breadth of God’s love. Those who are nurturing their anger and fabricated resentment of immigrants and ethnic minorities are going to need a new community to offer them hope and a path forward. It would be tragic if white supremacists and racists only redirected their anger into a bitter and defensive fundamentalism. Many evangelical churches can provide activity to redirect them, but they tend to lack the spiritual resources and direction for those who need to directly encounter God’s loving presence. 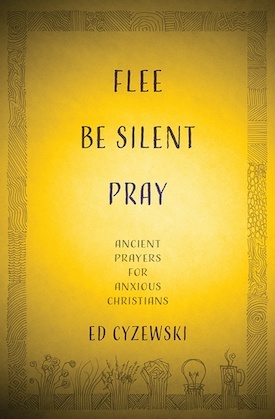 Contemplative prayer within a church community setting can offer the inner spiritual experience of transformation that is often so badly needed. We need churches that speak of God as a loving father/parent and emphasize the loving relationship of the trinity in their belief statements. I participated in prison ministry off and on before we moved and had kids, and I was always struck by how the men were impacted by an encounter with God as a loving father. I will always defer to experts like Christian Picciolini to offer a path forward amid white supremacy. Contemplation is no substitute for direct action, holding racists accountable, legal advocacy, and other measures that will stop their agenda. It wouldn’t hurt if police departments like the one in Charlottesville, VA were a little more proactive when racist groups start beating people up. Again, I can’t emphasize enough that contemplation is but one part of a larger action plan. I also haven’t addressed the vital work of learning about our history of racism and white supremacy in America or amplifying and joining the activists who are doing the hard work on the ground each day. Those targeted by racism and working to eradicate it need our prayers and support now more than ever. However, as a white man, I am also very aware that I have a role to play in offering racists an off ramp away from radicalization. I hope and pray that contemplation can offer them a path away from the fear and hatred that drives their movements.